At Artist on Demand, our harp players are perfect for your wedding or birthday parties. Our harpists have good experience in the world of special occasions, both corporate and private. We pride ourselves in providing our Bollywood music as well as famous songs which are unique to us. With the harp, our Player roams all over the stage and creates a perfect and beautiful live performance. They also electrify the event with their cool and trendy music with great performances. Well, harp is known as a stringed musical instrument which has lots of strings running at a single angle to its soundboard. Our latest harps vary in techniques which are used to improve the strings’ chromaticism as well as range. Our Harp Player in Delhi will be a great choice for your wedding in order to add a musical magic to any event with the beautiful art. Artist on Demand not needs an introduction to the entertainment field as the firm is a leading event Management. We have a team of management personalities and skilled people in order to check our projects and implement them with top quality productivity. A good level of attentiveness is required to read not only the bass staves and treble of music, but also the stamping for pedals. That is the reason our harpists are not enough good at keeping a conversation while they are playing. It is because of the intricacies of harp, you need to take time in order to prepare the music in advance. Our harpists are expert and have performed several shows in across the India. Our players have performed for lots of variety of events such as christenings, anniversaries and birthdays, etc. We take great pleasure in assisting couples realize their target for their wedding. 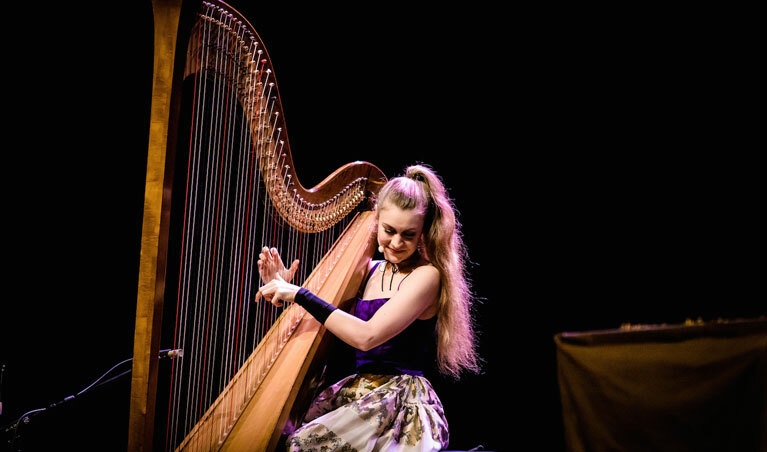 An innovative, versatile and exciting performer equally at home on electric as well as acoustic harps, our experts are in great demand due to their unique, creativity style as well as musicianship. So, if you are seeking Harp Players in Delhi, then you should choose Artist on Demand for the same. Feel free to contact us today!